The 2011 Melbourne International Film Festival (MIFF) kicked off last Thursday with the vaudeville-style romp The Fairy from Belgium based masters of the absurd Dominique Abel, Bruno Romy and Australian-born Fiona Gordon. This week the Festival continues to host a stellar line-up of international and local guests, including; the multitalented Mike Mills who will present his semi-autobiographical film Beginners. Having also created music videos for Moby, Yoko Ono and Air as well as designing album covers for Beastie Boys, Beck and Sonic Youth, Mike Mills will participate in an ‘In Conversation’ event about making films, music and art on Saturday 30 July, 4pm the Stella Artois Festival Lounge. Mike Mills will also DJs a late night set on Friday 29 July at the Stella Artois Festival Lounge. Film London CEO Adrian Wootton, a former Director of the London Film Festival and British Film Institute, delivers his acclaimed illustrated film culture and literary lectures that have travelled the globe from Rome to New York. Wootton’s Illustrated Film Talks run Monday 25 July to Thursday 28 July and encompass Frank Sinatra’s 60 years in showbiz, legendary American crime novelist and screenwriter Raymond Chandler, Elvis in the Movies, Graham Greene on Screen and director Howard Hawks. This weekend sees Oscar nominated director of Super Size Me Morgan Spurlock fly in to introduce his satirical hit, POM Wonderful Presents: The Greatest Movie Ever Sold. He will also discuss product placement in the movies with The Chaser’s Andrew Hansen at an In Conversation event on Sunday 31 July. More International guests in week two include; My Wedding and Other Secrets Roseanne Liang and actor Matt Whelan; Annie Goldson, director of Brother Number One and Cyril Tuschi whose Khodorkovsky paints a portrait of controversial Russian oligarch Mikhail Khodorkovsky who took on Putin and lost. This week is studded with premieres of some anticipated Australian films, including: Red Dog – from one of Australia’s greatest filmmakers, Kriv Stenders (Boxing Day, MIFF 2007; Blacktown, MIFF 2005), comes the heart-warming tale of an Australian country town and the dog it loved. ; St Kilda activist will step out to support the Triangle Wars – a documentary which depicts an epic battle to decide the fate of a St Kilda parking lot will have its World Premiere on Wednesday 27 July; and made in Melbourne feature Falling for Sahara directed by Khoa Do will have its World Premiere on Friday 29 July. Khoa will step out with the Essendon Football Club who in part financed the film along with his cast of African-Australian actors and refugees recently arrived from Ethiopia, Eritrea, Sudan and Somalia. Plus Bryan Mason and Sophie Hyde will be in town to present Life in Movement, the moving biography of the extraordinarily talented dancer and choreographer Tanja Liedtke, who was struck and killed by a truck on the streets of Sydney just after she was appointed the new artistic director of the Sydney Dance Company at the age of 29; Matthew Bate’s Shut Up Little Man which looks at the audio recording that sparked a viral sensation; and Natalie van den Dungen’s Persecution Blues: The Battle for The Tote, her love letter to The Tote’s cherished place within the Melbourne music community. The last week of the Festival will see Tom Zubrycki who will introduce The Hungry Tide – which focuses on the central Pacific nation of Kiribati and the rising sea levels which are threatening the lives of 105,000 people there; and Jesse Peretz – a founding member of rock band The Lemonheads, Jesse joins this year’s MIFF guest line-up to present his new comedy, Our Idiot Brother, starring Paul Rudd, Emily Mortimer, Elizabeth Banks and Zooey Deschanel. A household name for horror fans, director Lucky McGee and actress Pollyanna McIntosh McKee attend MIFF to present their controversial new feature The Woman. Also populating the last week is Polish director Lech Majewski who will introduce his new film The Mill and the Cross a film version of Pieter Bruegel’s 1564 painting of the crucifixion; Pia Marais will present At Ellen’s Age a coming of age drama from Germany about coping with new turns in life; director Braden King will introduce Here which has been co-scripted with Melbourne writer Dani Valent; Mary Stephen, film director and editor based in France who has worked with Eric Rohmer (Autumn Tale, A Summer’s Tale) as editor and co-composer since 1992, will be in town to introduce Majority and present a masterclass in editing; similarly Australian musician, singer, and composer Lisa Gerrard will be on hand to introduce Tears of Gaza as well as present a masterclass in sound. Industry professionals and film students will be excited to hear that leading Hollywood script developer Wendall Thomas will deliver a series of three full-day seminars during the Festival’s last week. With lectures covering Making a Scene: The Magic and Mechanics of Scene Structure, Wake Up, Time to Die! – Dialogue and Genre and Transformation: Constructing a Character Arc, these are must for anyone in, or wanting to get in, the industry. Francophiles and comedy lovers alike will be please to hear of Francis Veber’s visit. Having crafted one of biggest French hits The Dinner Game, Veber will visit MIFF to present three industry-focused lectures on mastering comedy in film, in addition to doing an in conversation with another master of comedy, Steve Kaplan. The Australian slate does not slow down in the last week either, with; the much anticipated premiere of the first two episodes of The Slap. The red carpet will be graced by a number of the leading cast members and filmmakers; rock doc Ben Lee: Catch My Disease by Melbourne filmmaker Amiel Courtin Wilson; Jon Hewitt’s X, about two call girls who are thrown together on a job that goes horribly wrong, finding themselves on an out-of-control rollercoaster ride through the seedy clubs and back alleys of Kings Cross; and the World Premiere of David Bradbury’s documentary about Paul Cox, On Borrowed Time. 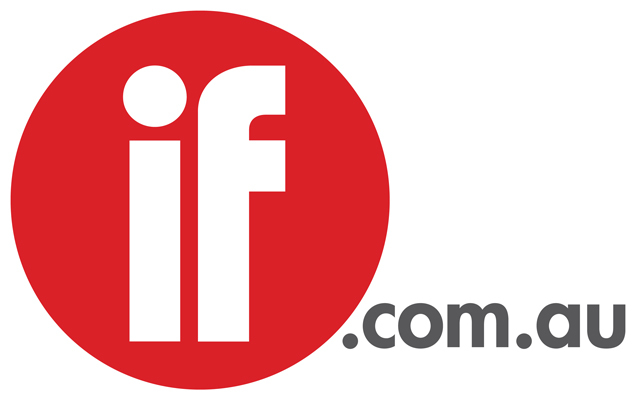 The 2011 Melbourne International Film Festival will run from 21 July – 7 August.